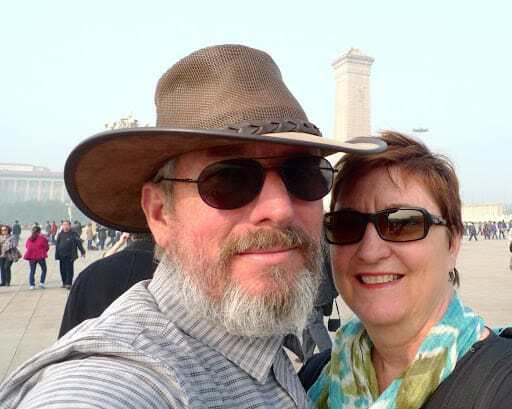 It’s really difficult to imagine, standing here in Tiananmen Square, that around 24 years ago there were reports of many people killed during the June 4 1989 pro democracy demonstrations and riots. There are, of course, no official figures of the casualties from this and related events. I found this amazing pictorial presented a vivid commentary of the events. 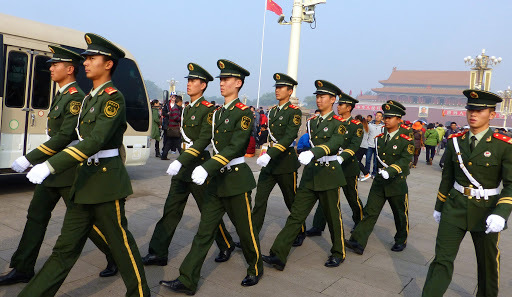 We had been told that Tiananmen Square is just not the right place to ask questions about those events, and in fact, according to Wikipedia, “officially, the Chinese government condemned the protests as a “counterrevolutionary riot”, and has prohibited all forms of discussion or remembrance of the events within China. Even the memoirs of leaders who supported the crackdown are banned”. And our leader Jing certainly wasn’t happy to talk about any of it, for good reason. But for our lovely group on this mild yet misty day, it was simply to admire the vastness of the square and wonder at the symbolism and history of the amazing buildings. And to glance around to see if there were secret agents lurking, to listen in on our conversations. I wonder if that lady over on the left is a secret agent….. 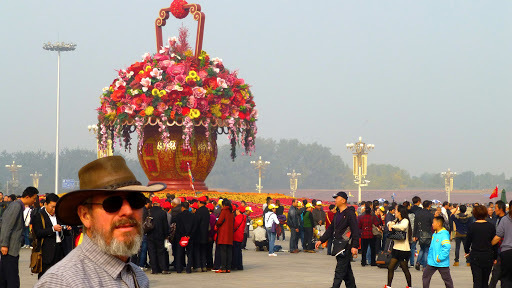 Huge urns and large tracts of (artificial) flowers decorated much of the square. Rather handsome soldiers. I wonder if they are descendants of the protesting students or the solders sent in to sort them out. Apparently Mao’s photo is replaced every few years, with minor aging applied to his features. Curious. 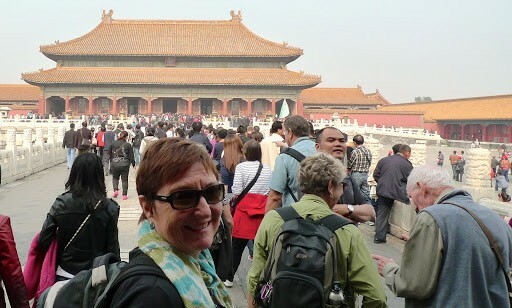 About to move into the Forbidden City. 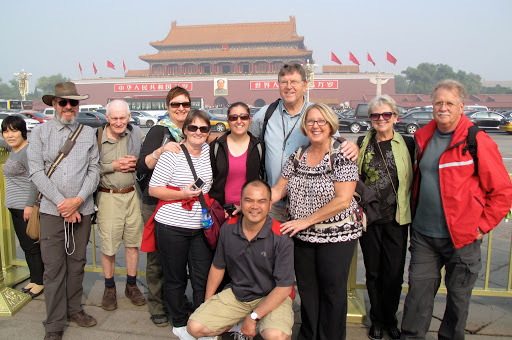 Tiananmen Square is the largest city centre square in the world and a place associated with many historical changes in China. 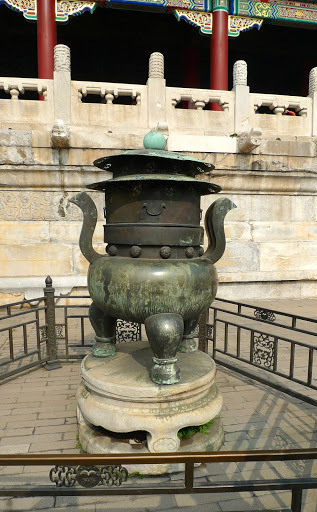 The Forbidden City served as the Imperial Palace for Ming and Qing Dynasty for about 600 years. That fact is quite thought-provoking when one considers how much change the world has seen in over 6 centuries. 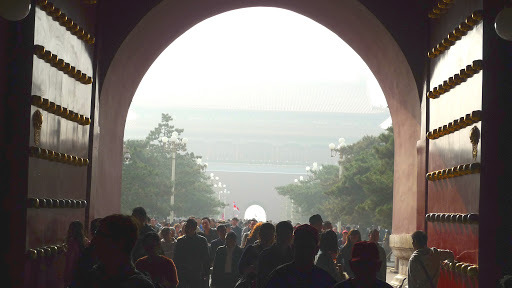 Lots of people moving through the red arches into the Forbidden City. 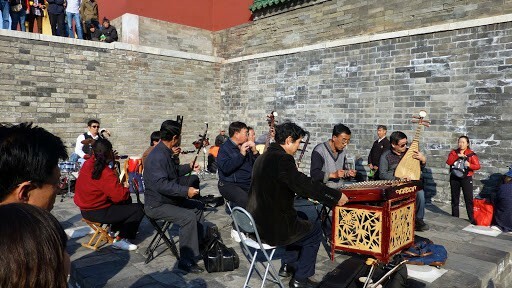 Behind the 10 metre high walls and a 50 metre wide moat are hundreds of meeting halls, houses (there are 9000 rooms in the Forbidden City), shrines, libraries, gardens and courtyards large enough to hold 100 000 people. Appropriately near the Palace of Gathered Elegance. The names of the various Courts conjure all sorts of fantastical images of a bygone era: Hall of Supreme Harmony, Hall of Middle Harmony and Hall of Preserving Harmony. I like it. 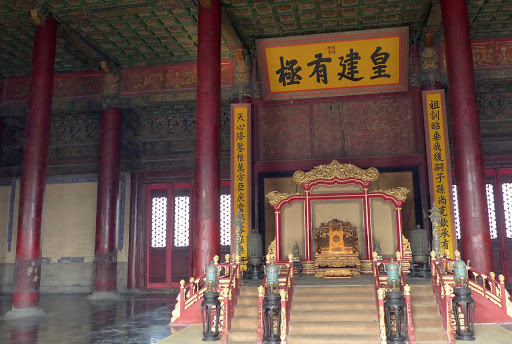 The Inner Court centered on the Three Back Palaces namely, Palace of Heavenly Purity, Hall of Union and Peace and Palace of Earthly Tranquility. 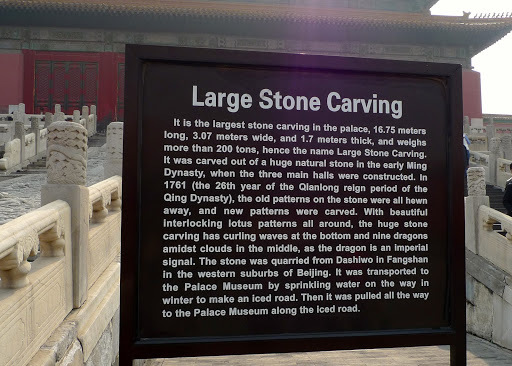 A “Large Stone Carving” brought to the site with great skill and dexterity. Hoping for some peace at the Hall of Supreme Harmony. So terribly old, so beautiful. 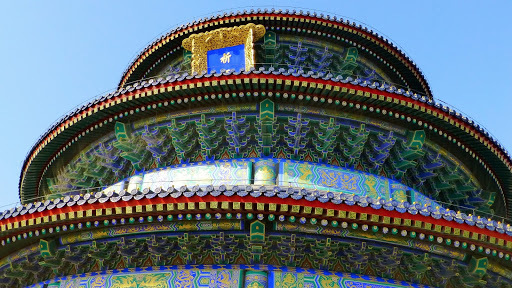 In Beijing we also ventured further afield and tracked down the Temple of Heaven, which is a magnificent ancient complex with a history of about 600 years, occupying an area of 273 hectares which is about 3 times greater than The Forbidden City. 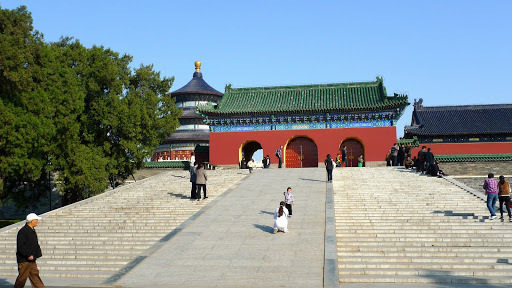 It was built in 1420 for emperors to worship Heaven, and has structures named the Altar of Prayer for Good Harvests, Imperial Vault of Heaven and Circular Mound Altar. It was truly a magical place. 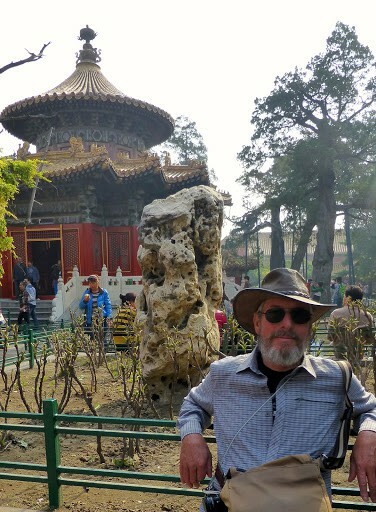 Less crowded than the Forbidden Palace and really beautifully preserved. A handsome yet travel weary trio. 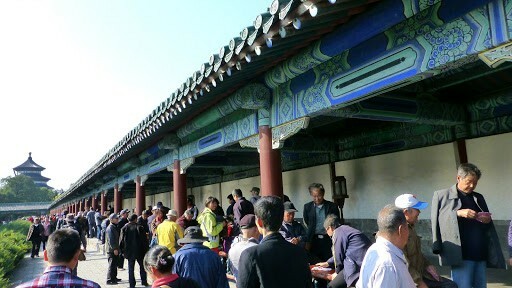 Lots of card games and mahjong being played here at the Temple of Heaven. I’m always chasing wedding photos in interesting places. 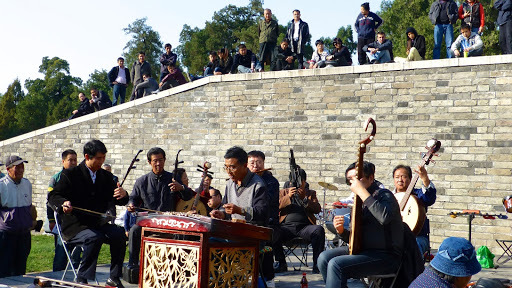 Just as we were leaving the Temple of Heaven, we came upon this group of folk musicians. 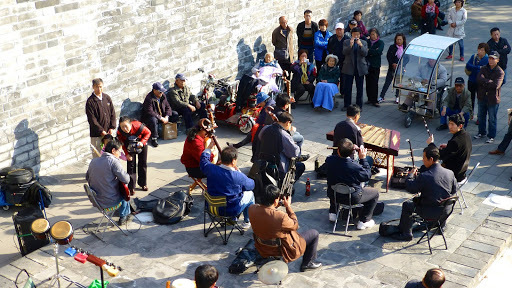 It was really wonderful and I could’ve stayed there watching and listening for hours. Dave wanted to bring one home. The highlight, and greatly anticipated, part of our Grand China trip was walking the Great Wall. 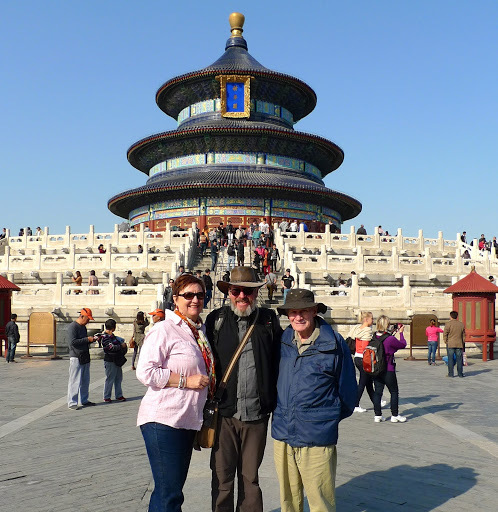 Next time you come back I will share with you our totally amazing experience.